Enjoying Disneyland is different for everyone. There are different ride preferences and different priorities whether you're old, young, or have kids; whether you flew around the world for a one-time experience or if you go to Disneyland frequently. For my wife and I, enjoying the park when we were younger meant going hard for 16 hours to ride every ride as many times as we could. Back then we'd only go once every 5-10 years. Now that we are a little bit older and were lucky enough to justify an annual pass this year we turned from young-go-hards to Disney pros. 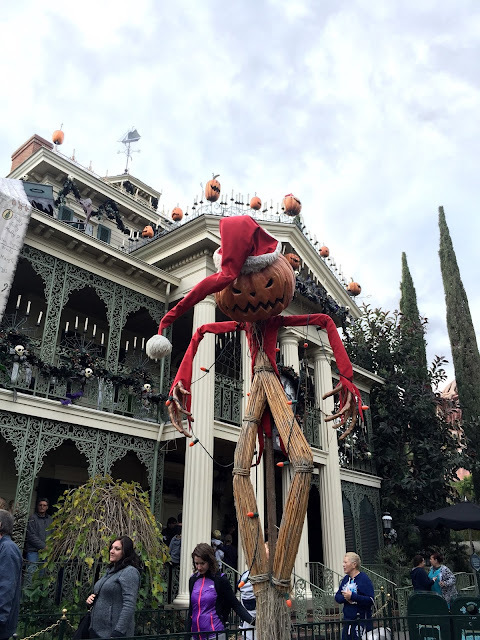 I am not saying we are the best at Disneyland — as if that's even a thing — but we have found time to enjoy the intricacies Imagineers and cast members put into the park. Everyone one does Disneyland differently but we have found a system that works for us and lets us ride all the rides we want to normally by noon. So this is how we do it. First key is to plan a trip on days that aren't expected to get too busy. We like to use isitpacked.com and undercovertourist.com crowd prediction calendars. The next key is to get to the park early. I don't mean when its still dark, and at opening is already getting busy, so somewhere in-between. 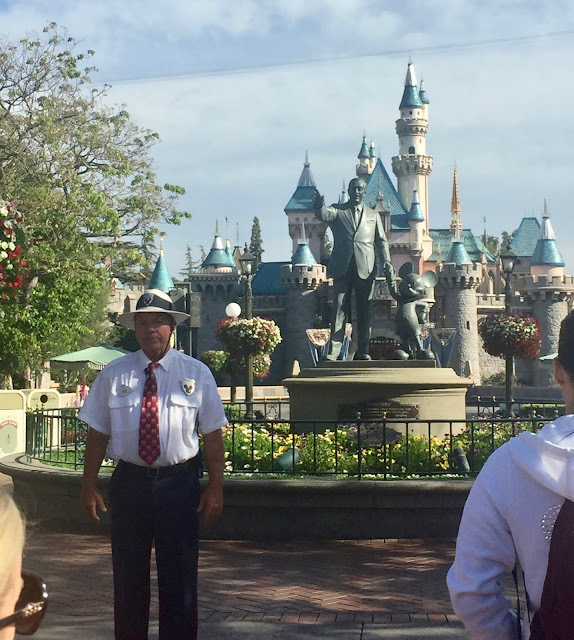 Since about 2015 Disney instituted a security check point to ensure everyone enjoys a safe visit. That will be your first line. And it makes the day a lot brighter to be extra nice to the security officers as well as having any bags open and clear of contraband. Nowadays we don't bring bags into the park at all, even my wife leaves the purse at home. Only items that we can carry in our pockets, which is usually credit cards/Disneyland ticket in a wallet, a phone, sunglasses, and sometimes an expandable shopping bag that clips onto a belt loop if we know we're going to buy souvenirs. Again, no kids. And on that note, find a line with the least strollers and backpacks and you'll breeze through security. A rare time when there was no security line first thing in the morning. Normally the park opens at 8am and we will arrive around 7am (although always check because times vary day-to-day, including Extra Magic Hour and Magic Mornings). That gets us through security and a good place in the line without waiting for hours. Also, the majority of families with kids aren't at the gate that early. We feel you families - its hard enough to get our adult-selves ready. Then you'll get in line to enter the park. We normally pick a line in the middle of the gates because they tend to move slightly faster. Strollers slow the line down as do first-day visitors because they get a picture taken. Disneyland actually opens its front gates about 15 minutes prior to the actual opening time everyday. 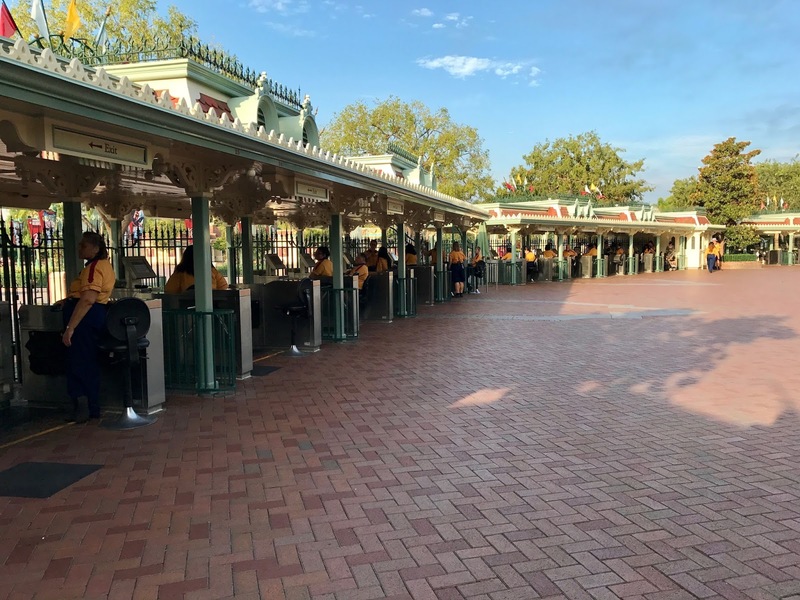 This allows them to start moving people through to the back of the park without stopping at Main Street shops. They keep the park roped off either at the end of Main Street stores on a normal day, or around the entrances to the lands in the Plaza if you're enjoying an early morning such as Magic Morning (3 or more-day park hopper) or Extra Magic Hour (Disneyland Resort guests). If you're at the park for an early morning, only Fantasyland and Tomorrowland are open. People will queue up at the rope in anticipation of a magical morning! Now to the meat of the morning. 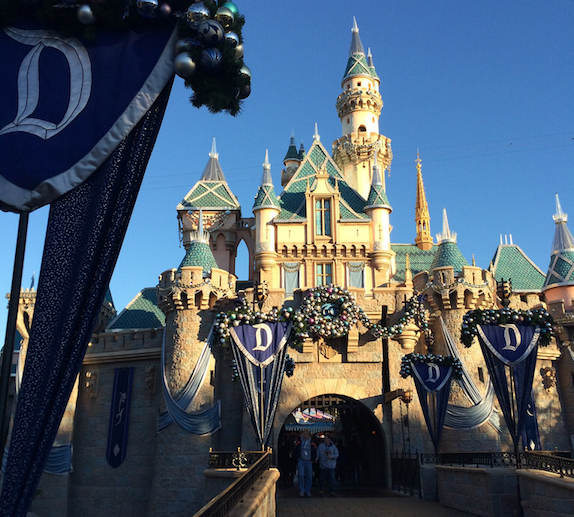 The majority of visitors will sprint to the castle to get in line for Peter Pan (please walk in the park!). Who voted Peter Pan the "Best Ride Ever", I don't know. I mean I love it, but I love every ride. If you want to ride Peter Pan without waiting 45+ minutes then do head that way and watch for the line that usually forms out towards the drawbridge on the right. It will seem long but the cast members "release" the line in stages as it fills. If you don't go to Peter Pan first thing, another option is to hit Peter Pan right after fireworks in the evening. Immediately after or instead of Peter Pan, we usually go straight into Tomorrowland. This land is very popular and will become extremely packed as the day goes on, but in the early morning it's usually fairly empty. 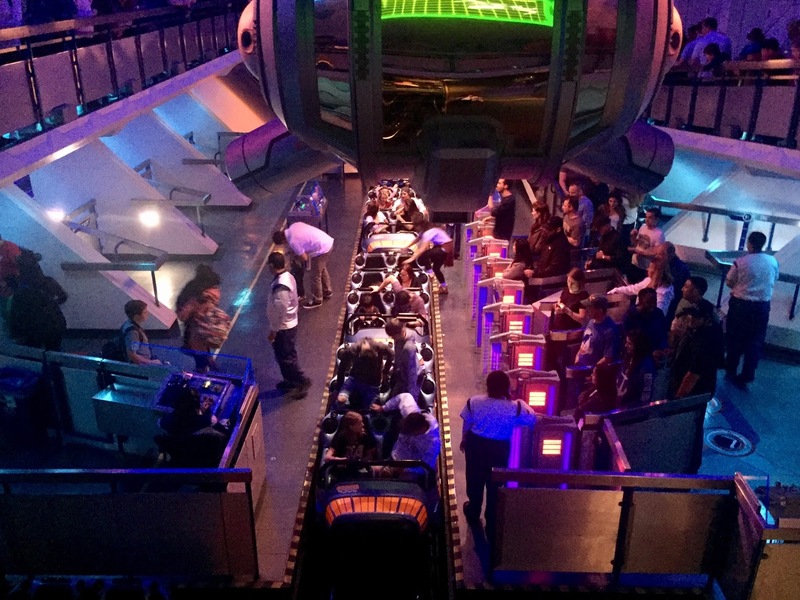 Of course you'll want to take advantage of Fast Passes or Max Pass. We usually book a fast pass for Space Mountain right away. With the old fast pass system this means you walk all the way to the entrance in the back to get a fast pass. Then we'll hop on Star Tours once or twice while the wait is 10-15 minutes and do Astro Blasters (walk on as many times as you want). Next its on to New Orleans Square on the opposite side of the park. You really get your steps in at Disneyland! 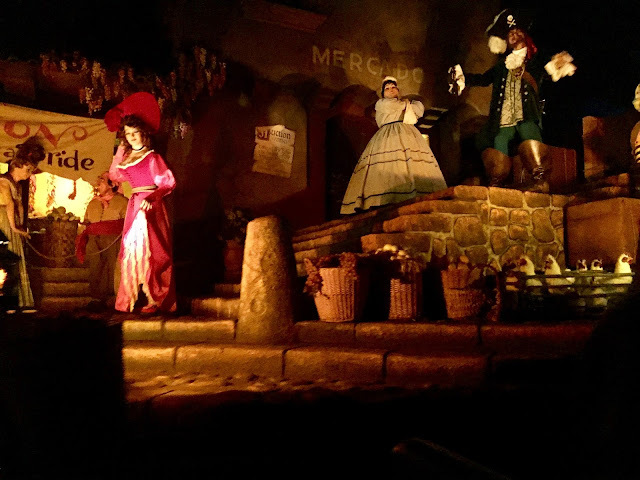 We always ride Pirates of the Caribbean first and as many times as we can. Ever since Johnny Depp visited the ride its become a bit more popular. After Pirates we ride Haunted Mansion. Then Pirates or Haunted again if the wait times are 20 minutes or less. At this point its usually time for Space Mountain (around 9:15 maybe) and that means we can get another fast pass! We usually get a Big Thunder Railroad fast pass which allows us to walk directly on the ride - no waiting in the 30 minute line. Nice right? Then we head back over to Tomorrowland to ride Space Mountain. If we can get another reasonable fast pass for Space Mountain or Star Tours (11 or 12 am), we do it. 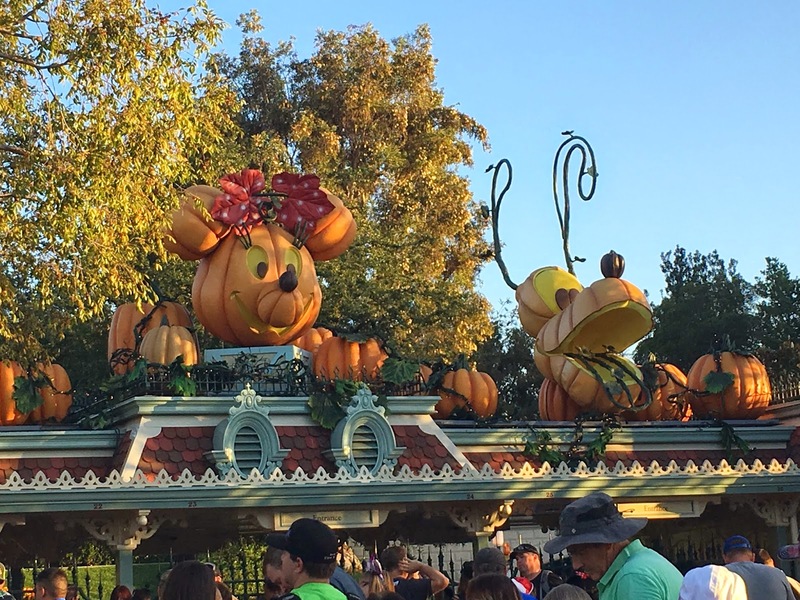 Ah, the magic of no people in the park yet! Then we head to Fantasyland to ride the original kiddie rides in the castle area. Fantasyland is usually pretty empty by this point because the Peter Pan overflow rush is over and visitors are hitting the bigger rides we've already done. Also, since these rides are older the AC does not work as well in lines and LA is hot. Riding in the afternoon tends to be a bit warm in line. After Fantasyland we like to take the path by Red Rose Taverne and head back to Adventureland/New Orleans Square. Maybe get a fast pass for Indiana Jones at this point. Watch that ride though as it frequently breaks down throughout the day. It's usually repaired within the hour. We can ride Big Thunder, Pirates, and Haunted again as these are favorites. Alternatively you could also ride Jungle Cruise, the Mark Twain Riverboat, or head around to Critter Country. Splash Mountain is a good ride in the afternoon, cuz you will get wet. But the line will get long so if you want to ride this one, around noon is a good time or take advantage of single rider. 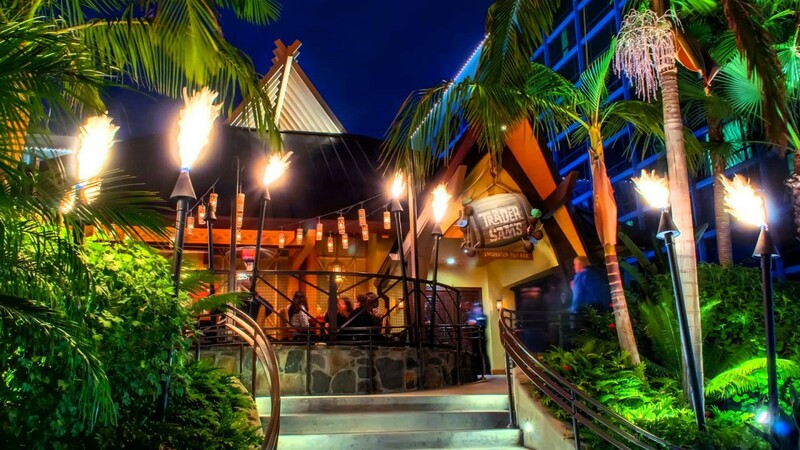 This is a good time to eat and we like Bengal Barbecue a lot in Adventure Land. There are many eateries in Disneyland to choose from and that's another blog post! The remainder of the morning/early afternoon we'll wander around and ride maybe The Many Adventures of Winnie the Pooh, Autotopia, and other Fantasyland rides we may have skipped if the line was long, like Alice in Wonderland. We may also visit Toon Town. Around 3 or 4pm you might want to hop on the Disneyland Railroad and take a lap or two around the park. It's a good way to give your feet a break and cool down. The best place to get on (with the shortest line) that we've found is in Tomorrowland. We also love to ride the Monorail but usually time-it to when we want to go to Downtown Disney or if we're hopping to California Adventure. Its nice in the evening too and since the Monorail does not have AC, it could be taken out of commission during hot days for safety reasons. Of course there are a few rides we don't really care to ride (which may shock some readers so please be warned!). We don't ride the Finding Nemo Submarine Voyage...bad experience...and we typically only ride Matterhorn Bobsleds and It's a Small World if we're visiting with others who haven't ridden or really want to ride these. So these are missing from our tour on purpose. From experience, Matterhorn line will get a very long during the day/evening and either riding in the morning or getting a fast pass are the ways to go. In the afternoon and evening you'll notice the park is much, much busier. 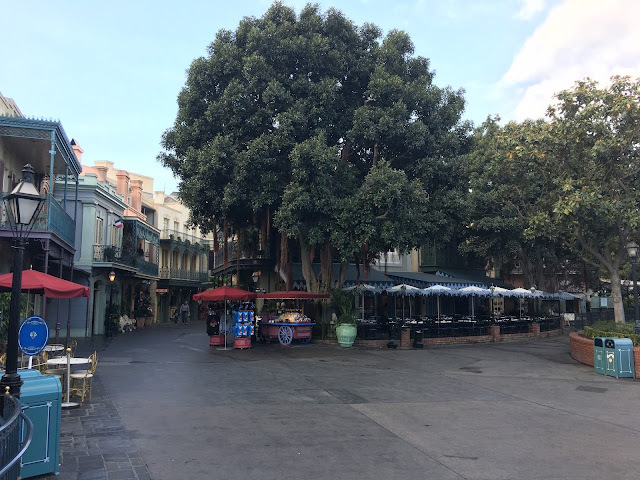 Because you had a perfect Disney morning and hit all the rides, this is a good time to slow down and enjoy shops on Main Street, do some shows, read about the park (all in AC - LA is still hot). We also like to do the Tiki Bar in the evening and get a Dole Whip. If you're planning a show or parade, you'll usually need to start saving a seat at least an hour ahead of time. You can always walk up last minute but you're not guaranteed a good spot. Of course the key to all of this is to use the Disneyland app or any of the other wait time apps available to monitor ride times. Don't wait if the ride is too long - get a fast pass and ride something else in between. And think about investing in an annual pass if you are going to visit the park more than six days in the year. At the end of 2016 we knew we had a couple trips lined up so we did the math on buying several 3-day park hoppers versus the annual pass. At the price of a 2017 3-day park hopper pass (approximately $315), an annual pass (approximately $600) broke even for us if we went 6 days or more. To do the math as prices adjust each year, just take the amount of the passes you would normally buy, divide by the total number of days visited in the year. Then take the current annual pass price and divide by the same number of days to compare which is better. We've ended up going 20+ days in 2017. Tons of money saved on tickets....don't ask how much spent in support of the habit!